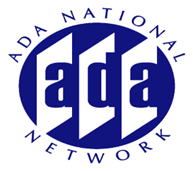 How does the ADA relate to the Family Medical Leave Act? Can an employee use one or the other or both? Carol Miaskoff will discuss the relationship of the two laws addressing leave and reasonable accommodations for disability-related issues and medical care. In addition, she will discuss leave issues such as extended leave and infrequent/unpredictable leave, medical documentation and undue hardship.